UK’s largest Independent Mobile Game developer brings real-time PvP battles as the latest instalment of its award-winning Creeps franchise. 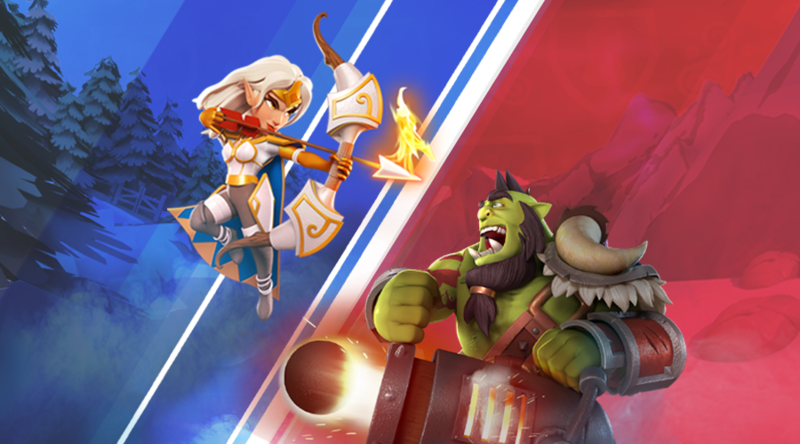 Dundee, 19th July – Outplay Entertainment, the studio behind TIGA 2017 ‘Best Strategy Game’ Castle Creeps TD, has announced the release of the franchise’s third instalment, Castle Creeps Battle. Castle Creeps Battle blends the fun of tower defence, brawlers, and collectible card games. The result is an adrenaline fuelled real-time PvP showdown. Fast paced warfare pits you against foes from across the world, as you battle to dominate Arenas. Wager your winnings on matches, and risk it all for honour, glory and gold! Four amazing Heroes, each with their own special ability and stats. Over 25 unique troop cards, 12 different tower combinations, and a wide variety of spells. Risk big, win big! Put your Battle Chips where your mouth is, as you wager on the outcome. 10 Arenas to dominate, as well as leagues, competitions and a steady stream of events. Socialise within Clans and trade cards, or play solo and take on the world alone. Exceptional strategic combat & quick fire decision making is at the core of Castle Creeps Battle. Timing is everything! The choice of which troops and spells to play, when you use them and where you place them, will decide the outcome of the battle. Outplay has made the experience even more immersive by allowing players to drop their heroes into the midst of the action. In four short years, the Creeps franchise has been enjoyed by over 31 million players. The community management team dedicate their time to getting to know what players like. This close-knit connection between players and creators has allowed Outplay to successfully evolve the content and features of the Creep franchise to meet community demand. Outplay Entertainment is the UK’s largest independent mobile gaming studio, with multiple awards and over 100 million downloads. It is responsible for many critically acclaimed titles such as Castle Creeps TD, Crafty Candy, Mystery Match and Booty Quest.